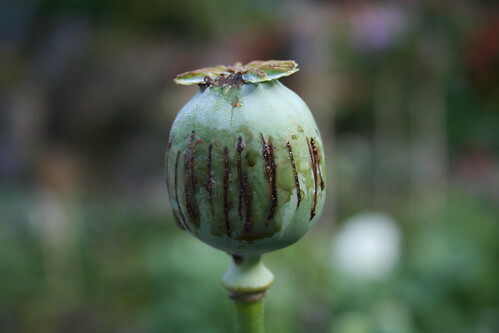 Opium poppy after harvest. Photo: Laughlin Elkind/Flickr. Within the context of efforts by the Association of Southeast Asian Nations (ASEAN – Myanmar is a member) to make the region drug free by 2015, the Burmese government announced the new approach to fellow members at a 9 May drug control cooperation meeting in the capital Naypyidaw. There, Minister of Home Affairs Lt-Gen Ko Ko told delegates that alternative development was the “fundamental solution” to reduce poppy cultivation, and called on international support and donors for funding. This article was originally published by IRIN. This is as important as the Taliban decree to stop opium production in 2000 in Afghanistan, which was heralded at the time as one finest in history. The nuclear weapons proliferation and organized crime income to buy elected officials can now be stopped in Myanmar, Pakistan, the Balkans, Europe and the United States. The Columbian FARC were also aquiring nuclear technology with the help of narco-terror dollars that now stream from South American drug routes though West Africa to Europe. This stream also provides cover to several terror neworks that were going to be utilized in upcoming attacks in the Persian Gulf (Saudi Arabia from Yemen). These steps must be given proper oversite benchmarks and reachable milestones to be properly implemeted to help decrease the threat of nuclear terrorist proliferation through narcotics traffic.